This is the first time any manufacturer has delivered a hybrid minivan and the results were very impressive. 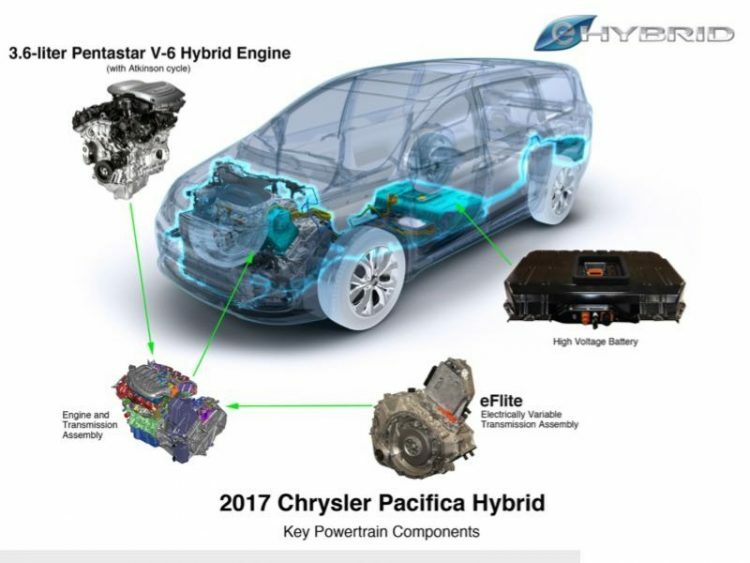 This was the best representation of hybrid technology yet in any vehicle we have tested, given the utility afforded by the minivan itself and the inclusion of a plug-in hybrid system that allows total EV operation. 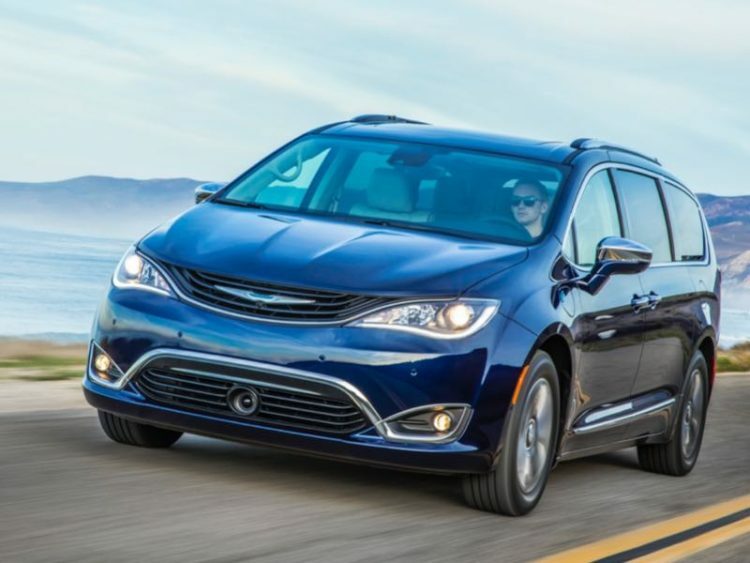 The Pacifica Hybrid was the smoothest hybrid powertrain we have driven and the minivan itself features excellent handling along with some of the lowest noise, vibration, and harshness in any vehicle on the road. At the heart of the PHEV system is a modified Pentastar 3.6-liter V-6 gasoline engine mated to a unique eFlite electrically variable transmission. The EVT contains two electric motors that are both capable of driving the vehicle’s wheels while also working as a power generator to recharge the battery pack while driving. The hybrid system battery pack is a 16-kWh lithium-ion unit that is mounted beneath the second row cargo floor (thus losing the stow and go capability of the middle seats). The placement of this pack also aids in giving the minivan a low center of gravity that in turn improves handling and balance. The new Pacifica Hybrid features a 16.5-gallon fuel tank. Once the 33 miles of electric range are depleted drivers can then go over 500 more miles on gas/hybrid operation. Gas engine output is rated at 260hp alone with motor A rated at 84hp (63 kW) and motor B generating 114hp (85 kW). Together this minivan can move, with so much torque on demand at the press of the accelerator and all through the powerband. It feels like this next-generation soccer mom mobile has a V-8 installed under the hood, and it operates so effortlessly and seamlessly. 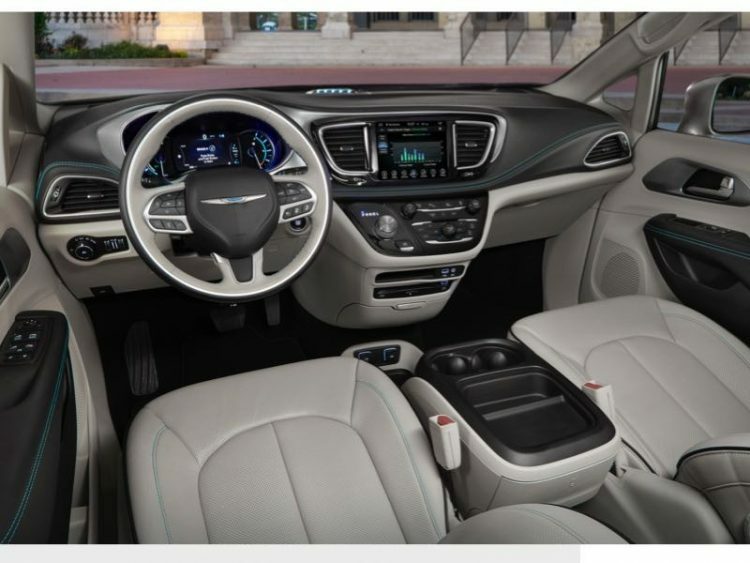 Styling is all new inside and out and the new Pacifica features a fast silhouette with a sculpted exterior featuring athletic proportions. This is nothing like the first-generation boxes that filled driveways back in the 80s. Even the sliding side doors have been designed to hide the tracks to give this model less of a “minivan look.” Every amenity is fit into the new Pacifica as our Platinum tester demonstrated including a tri-pane panoramic sunroof, heated and ventilated front seats, leather surfaces everywhere, hands-free power liftgate and sliding side doors, remote start, keyless entry and start, 8.4-inch color touchscreen infotainment display with Uconnect 8.4 Nav, 7-inch color TFT driver information display, active noise control system, seatback video screens with dual HDMI inputs and 3-channel control, and a rocking 506-watt Alpine premium audio system. 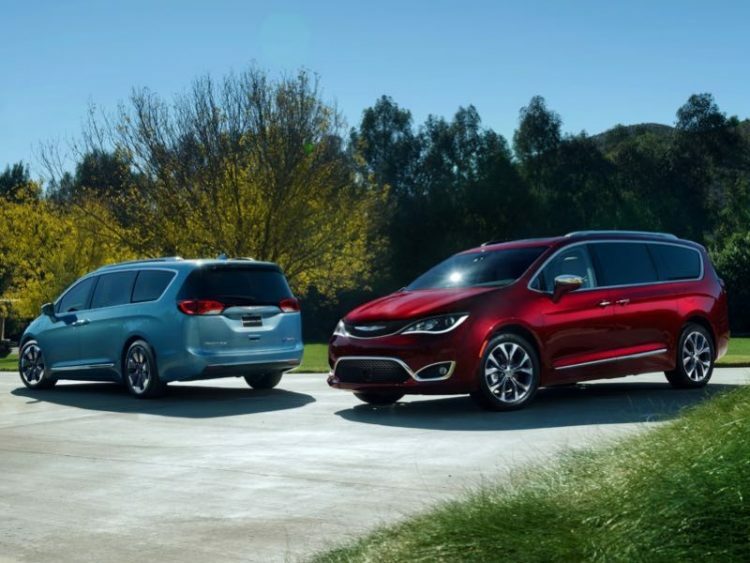 Safety has never taken a back seat in the Chrysler minivans and it is that same way with the new Pacifica. Over and above all the latest technologies is ParkSense front and rear park assist with stop, blind spot and cross path detection, 360-degree surround view camera system, parallel and perpendicular park assist with stop, adaptive cruise control with stop and go, full speed forward collision warning plus, lane departure warning plus, and ready alert and rainy day braking. 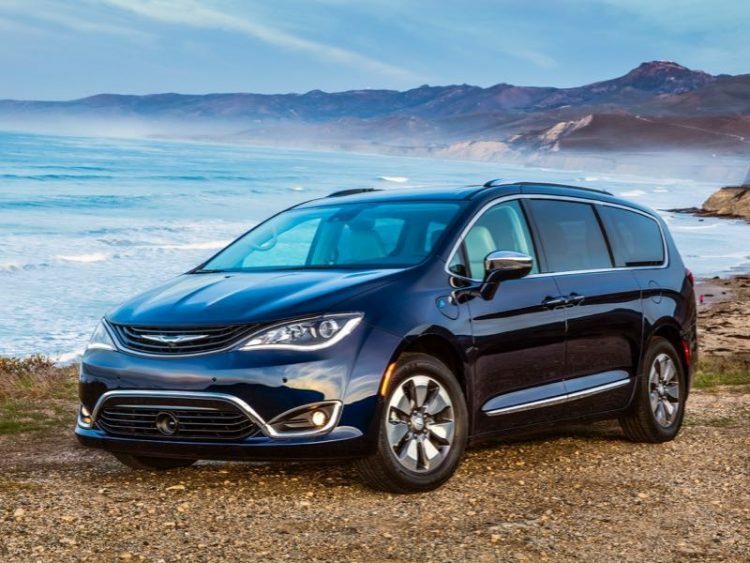 To say the 2017 Chrysler Pacifica Hybrid is loaded is an understatement, as our recent tester proved. This, however, may prove to be out of reach for some families as it appears to put a premium on the hybrid technology. Gas models start in the upper 20s, which is more inline with what growing families will spend for a long-term vehicle while Hybrid models are in the 40s – a range off the radar of those same demographics. 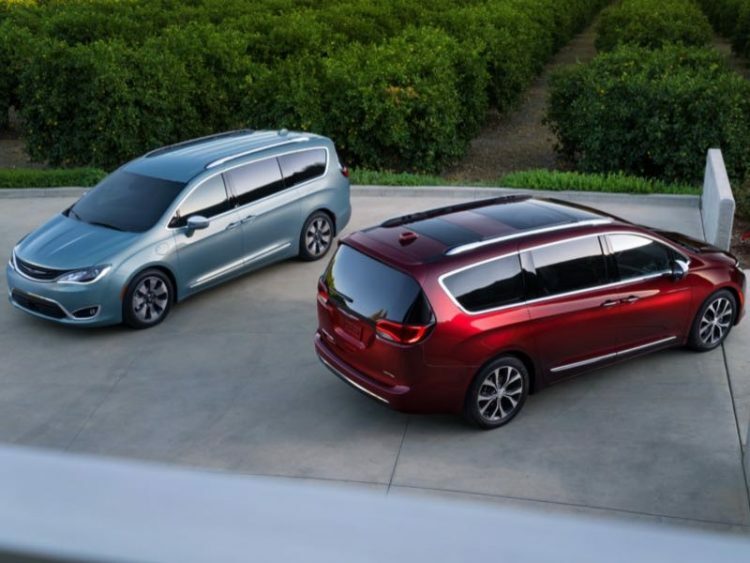 This is the first year for the new minivan so hopefully in the near future the automaker can find ways to bring this new technology into the driveways of the budget and environmentally conscious. 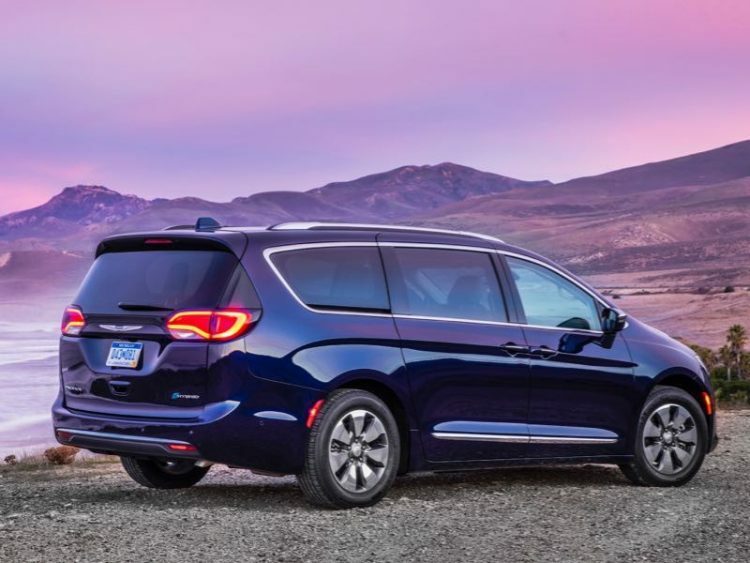 Pricing for this 2017 Chrysler Pacifica Hybrid minivan loaded to the gills is $47,885. Fuel economy is rated two-fold given the plug-in hybrid nature of the powertrain: EPA gives it 84 MPGe for electricity and gasoline and 32 mpg for gas-only operation. These are righteous numbers considering there is a V-6 sitting under the hood, and the fact the vehicle can carry up to seven passengers. Driving the new Pacifica Hybrid was a real surprise and a great pleasure. It is so easy to operate and the view from the driver’s seat is exceptional. Acceleration is beyond adequate and may want drivers to go seek out those single co-workers showing off in their Mustangs and Camaros and show them you can still have fun while doing the family thing. 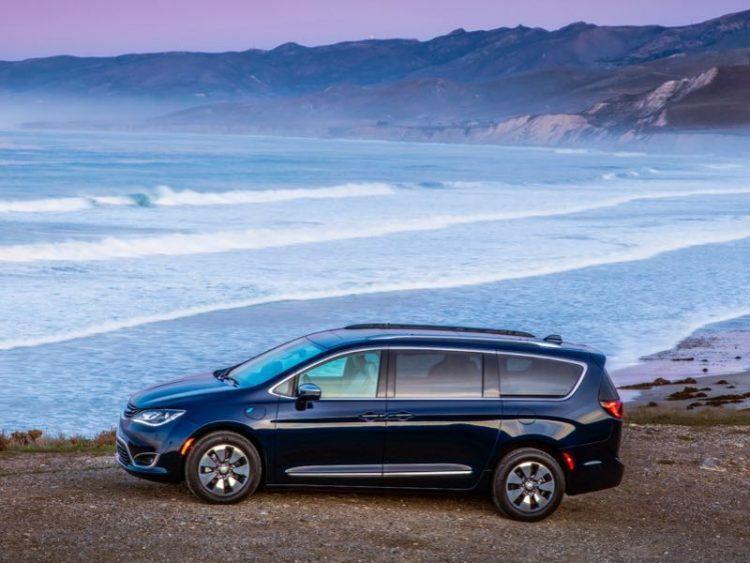 If you think you know minivans, you haven’t driven the new Pacifica Hybrid – it’s electrifying.